DUSSELDORF, GERMANY 11. November. 2018. 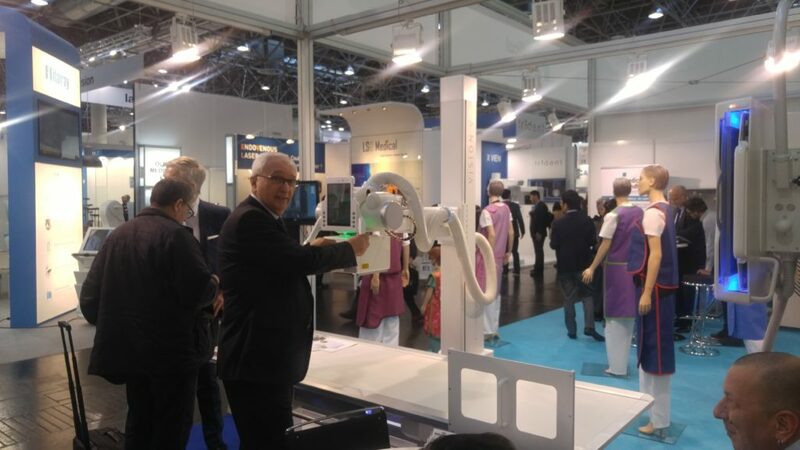 Visaris presented its enhanced Vision V digital X-ray device at this year’s MEDICA 2018 edition of the world’s largest medical trade fair in Düsseldorf from 12 to 15 November. 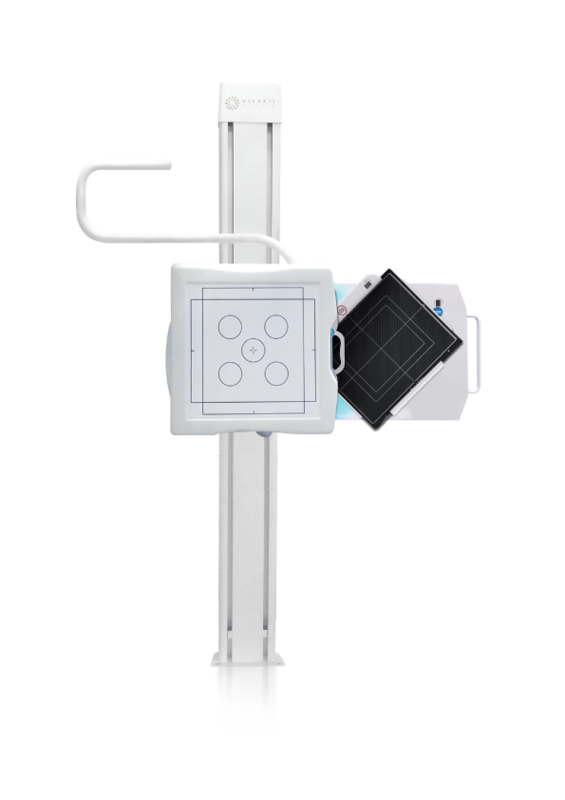 Vision V is a modular x-ray system with a standard configuration of floor mounted tube stand, vertical bucky stand and bucky table. With a range of advanced workflow and positioning features, Vision V is a high performance DR system offering unparalleled price-performance ratio. Modular stand design with optional motorisation can perform a wide range of general and specialized radiographic imaging in standard, chest only, table only or ER (mobile table) configurations. Portable wireless system console on the tube stand allows remote setting of generator, collimation and worklist for efficient workflow. Digital imaging system on a sophisticated, multi-language digital imaging console controls all system components and enables high level of exam automation for easy transition from film to digital imaging. 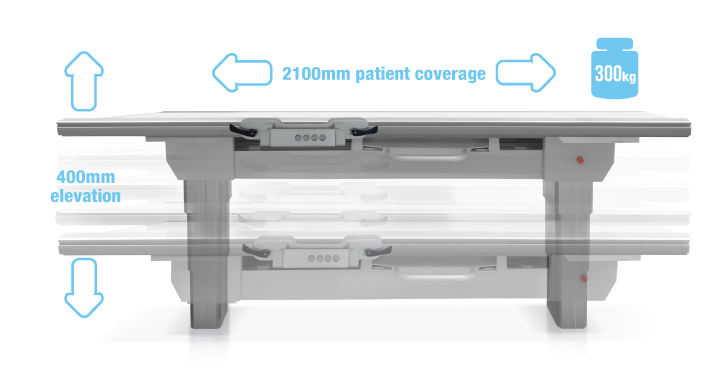 – High performance elevating radiography table with open, modern and aesthetic design and market beating specs – 400mm motorised elevation, 300kg max patient weight, foot and hand controllers – amazing over 2100mm patient coverage with 300 mm transversal ﬂoating range – Better aesthetics with improved light indicators and stronger, varnished cover. 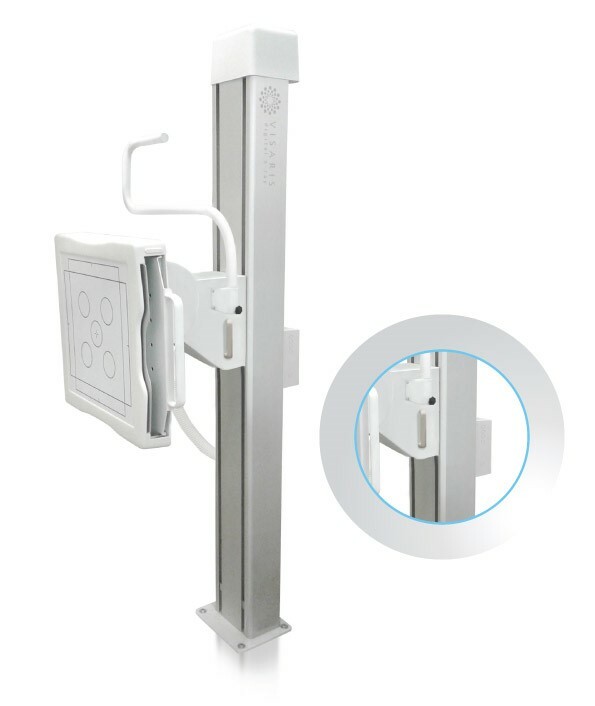 – Universal left-right design: easier installation and planning, single set of parts – Improved reliability through an improved rotation mechanism and detector orientation sensors – Better serviceability through better, detachable cable access – Better aesthetics with improved light indicators and stronger, varnished cover. 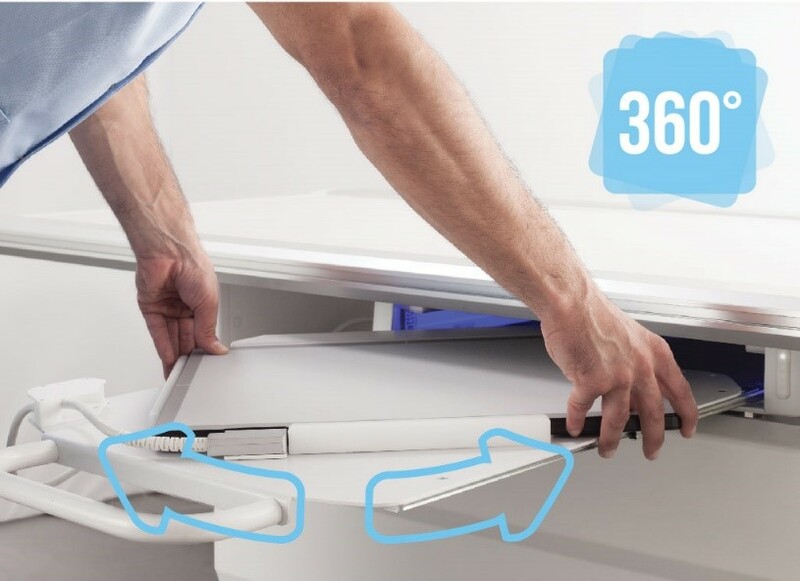 – Easier operation with full 360 degree detector rotation – Even longer table coverage: +4cm of bucky travel in the table – Improved reliability through a new rotation mechanism and detector orientation sensors – Better serviceability through better, detachable cable access. Better lower extremities imaging through cetre-line-to-ﬂoor distance of only 280mm – Better serviceability and easier installation through simpler cabling, electronics mounting and access – Better reliability through smoother motion – Easier planning and installation with universal adjustable left-right design – Capacititive sensing, buttonless controls.